It's Saturday night in the club, join us for a special night! Book and pay online for guaranteed seating covering all of the evenings entertainment from 8pm - 3am or just pay on door. Award winning jazz vocalist Marianne McGregor kicks off the entertainment at 8pm while the cocktails start shaking at the bar. Look out for our exciting performance act before late night band Romacaleo take you through to the early hours. 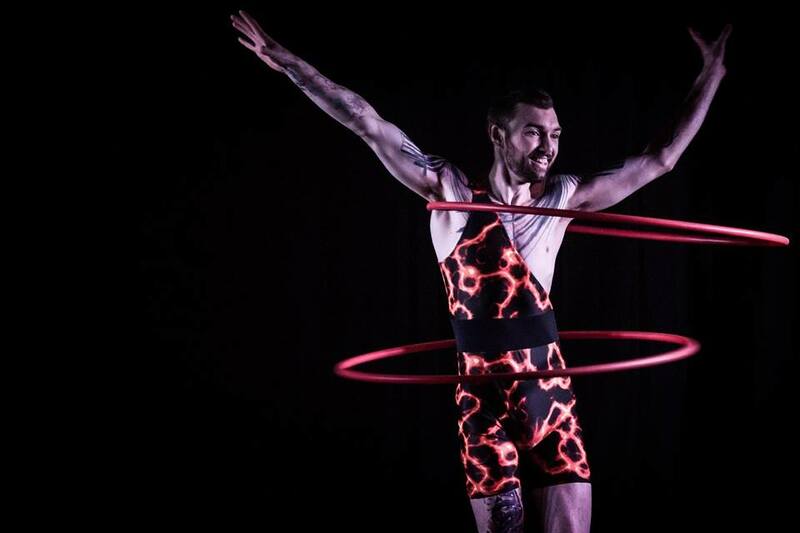 The types of acts you can catch throughout the year are; aerial silks, hoop and trapeze, acro-balance, contortion, hula hoop, dance acts and many more... Catch the band after their set at our late night bar. Swing's unique music style keeps playing and the drinks and cocktails pour to 3am. Booking Reserved Seating If you want to guarantee seating you can book and pay online, £10 per person, covering all of the nights entertainment from 8pm through to 3am. Fill in our booking form to arrange. Alternatively just pay £7 on door. Tables do free up later at night. Our cabaret style tables seat 4 so smaller groups may be sharing and larger groups split over several tables. We do not take bookings for hen or stag party groups.